Sheldon Air Service Owner, daughter of Don Sheldon and Grand-daughter of Bob Reeve. I have lived an interesting life with an extraordinary dream, which appears to be coming true. 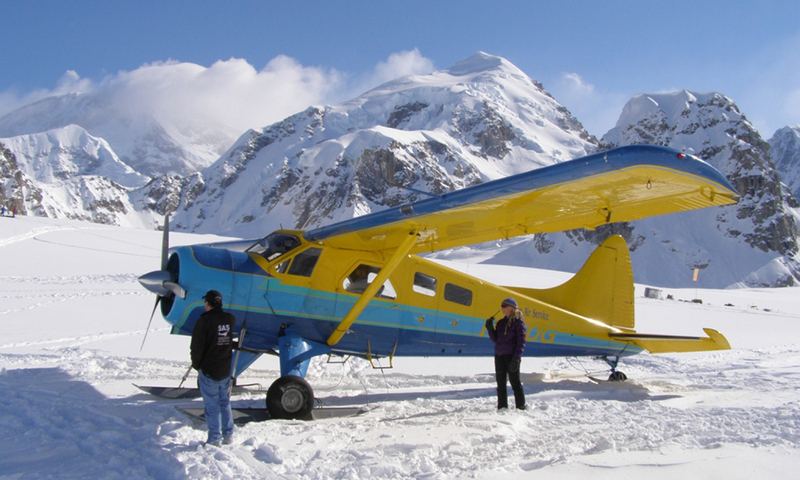 I am the first child born to Don and Roberta Sheldon, owners and operators of Talkeetna Air Service, founded in 1947. When I was 3 days old, my dad flew my mom and me home to Talkeetna from the hospital in Anchorage, Alaska. As I grew up tagging along with my dad as he operated the air service, I remember thinking, "one day I want to have my own air service!" I loved the airplanes! I loved the roar of the engines on takeoff, the excitement of landing, and talking on the radio from our home office to dad in the airplane. I still remember pressing the button on the mike and in my grown-up voice, and saying.. "wjy7 Talkeetna calling dad..." When dad landed, I ran to the fuel pump so I could spend time with him as he fueled up for his next flight. The smell of avgas to this day reminds me of all the wonderful times I had with my dad when I was a kid. Talkeetna was small back then and everyone knew each other. I suppose there were 200-300 people in town through the 1970s and 1980s. I loved the hustle and bustle of the air service in the summer and the quiet time in the winter, working with dad in the old red hanger. Since we were raised with the same people around us all the time, it was always exciting to see new faces when the climbers arrived in town in the springtime. Our air service had the most exciting customers in the world! I learned to say greetings in different languages and ended up with jars of coins from all the countries the climbers came from. My earliest memories are peppered with adventures of the mountain climbers dad flew to Base Camp on the Kahiltna Glacier, to climb Denali. I remember bumping along in our 1942 blue jeep up to the railroad station where we loaded up climbers that traveled to Talkeetna on the train. They usually piled their packs and gear high in the jeep and either jumped on top of the gear, or walked down to the hanger. 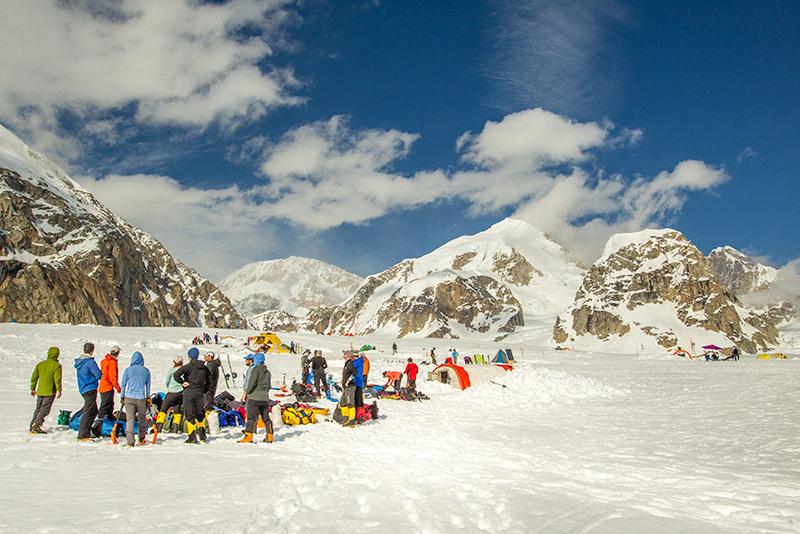 After dad drove us back to the hanger, the climbers organized their gear and usually cooked something up. I remember the aroma of international cuisine as the climbers packed for the flight. The Japanese, German, Polish, Korean, and Russian food, each had its own signature scent. My dad passed on in 1975 when I was 8 Â½ years old. I consumed myself with other things such as sports, music, clubs and service projects as I grew up. I always looked forward to visiting with my grandpa and grandma in Anchorage and flying out to the Aleutian Chain on their big planes. After high school I pursued my college education, worked at Reeve Aleutian Airways for a summer at the ticket counter and ran my own businesses. I always spent a lot of time at the airport in the towns that I was working in. The airport was a place of peace for me. I always found good conversation and a plethora of fascinating flying machines to look at. I was able to begin my flight training in 1999. The day I soloed in a Cessna 172 at the Talkeetna State Airport was one of the best days of my life. I went on to earn my Private Pilot Certificate, Instrument Rating and Commercial Pilot Certificate. As I flew my dad's old Super Cub to gain hours towards my certificates, I had a favorite path to fly. After takeoff at the Talkeetna Airport I exited the flight pattern and descended to minimums over the Susitna River and followed it north towards the mountains. I slowed the bird down to safe minimum speed, opened the windows and door and cruised along, above the treetops, up the river. This is still my favorite way to fly up north. After I attained my ratings I earned my degree from the University of Alaska Anchorage in Aviation Technology. After college I contacted the FAA to apply for a Part 135 Air Taxi Operator's Certificate. At the time they weren't authorizing any, so I accepted a job traveling to airports around Alaska, assisting in performing a cargo characterization study for TSA (Transportation Security Administration). A year later when I finished the job, I called the FAA again. They told me that they still had not begun authorizing Operator's Certificates yet, though I could submit a PASI (Pre-application Statement of Intent), and that would secure a place in line for me, which I did. During this time I crossed paths with long time Alaskan pilot David Lee. A year later Hudson Air Service came up for sale in Talkeetna, which included a part 135 Operator's License and National Park Service Concession. David, who has over 30 years of flying experience in the Alaska Range, and is happiest running an air service out of Talkeetna, and me, who always dreamed of having an air service since I was a little girl, were flabbergasted that we were in the position to attain the Hudson Air Service certificate and start our own air service. May 28, 2010, on David's birthday, we opened Sheldon Air Service at the Talkeetna State Airport. 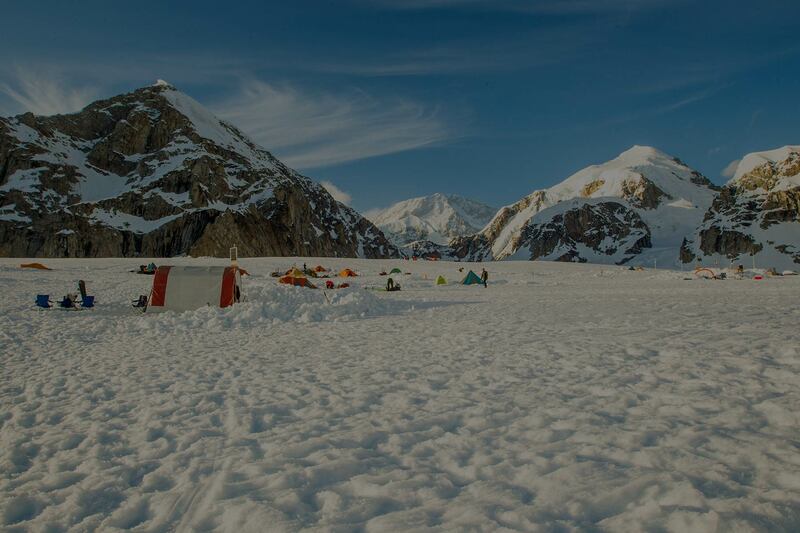 We are completely in our element providing flights of a lifetime to the glaciers of the Alaska Range to our passengers and providing first-class air support to our international climber clientele.